their organizations, and often indirectly themselves. On the other hand, big health care organizations have traditionally been non-partisan. organizations and their leaders now may support partisan aims with dark money, funds whose origin is disguised. The recent NYT article noted above summarized some newly released research showing how corporate leaders in general have become more partisan, and more partisan in a particular sense. The NYT article summarized a study of disclosed personal political contributions made by S&P 1500 executives from 2000 to 2017. To be counted a supporter of Republicans or Democrats, executives had to direct at least two-thirds of their donations to candidates affiliated with one party. just 18.4 percent of the executives studied were designated as Democrats. The clear majority — 57.7 percent — demonstrated their affiliation through donations to the Republican Party. Indeed, 75 percent of donations from the median chief executive were directed to Republicans. That strongly contrasts with the notion that big business and its leaders are non-partisan, although perhaps eager to be popular with people, particularly customers and politicians, with all sorts of political affiliations. The study disclosed no information on any particular executive or company other than Tim Cook of Apple, one of the minority of apparently studiously bipartisan corporate leaders. However, another article from October, 2018 in MarketWatch provided some particular information on how partisan leaders of health care corporations have become. Company executives often steer clear of any appearance of partisanship, in large part because they don’t want to alienate customers and investors who back the other side. Their study focused on disclosed political contributions from CEOs of S&P 500 companies, the largest publicly traded companies in the US, from 2017 through August 31, 2018, that is, those relevant to the most recent US national election, the 2018 mid-term election. They also found that many executives were heavily partisan based on their personal political donations. MarketWatch’s analysis found that among the CEOs who did contribute to party-affiliated committees, nearly all leaned heavily blue or red, with few donating equally to the two main parties. More than 84% of the 261 CEOs who contributed to partisan committees donated 70% or more of their money to one party or the other. And about 100 of the CEOs spent above the median amount and contributed 75% of their money to one party. The article presented a graphic showing the CEOs who were most partisan and contributed the most money. It included several CEOs of big health care corporations. So, there were 19 health care corporate CEOs among the top 100 of those giving disclosed political donations for the 2018 election. Of those, 15 gave most of their donations to Republicans, 4 to Democrats. Furthermore, note that many of the companies represented on the list have been Health Care Renewal “frequent fliers,” often discussed because of problems with leadership, governance and/or ethics. The opinions held by executives have always resonated beyond their own industries, but their importance is more pronounced today. Mr. Trump, for example, has not hesitated to equate economic policy with foreign policy. Political contributions by public companies do not have to be disclosed to shareholders, although some of companies do it. So the researchers looked instead at the which companies disclosed the donations to shareholders. Using an index developed by the Center for Political Accountability, the professors found that there was’“a statistically significant association between having a Republican C.E.O. and a lower’ disclosure score. given the outspoken positions a number of executives have taken in recent years on social issues like climate change, guns and immigration policies. Furthermore, the heavily Republican partisanship of CEOs of big health care corporations seems at particular variance with the health care missions espoused by these corporations. 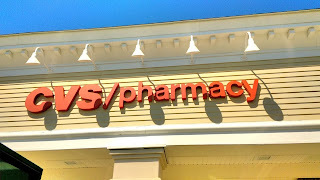 care more affordable, more accessible and more sustainable.” However, CVS was revealed to have been contributing to a “dark money” organization called America First Policies, ostensibly a “social welfare” charity, but actually an organization devoted to promoting the Trump agenda. 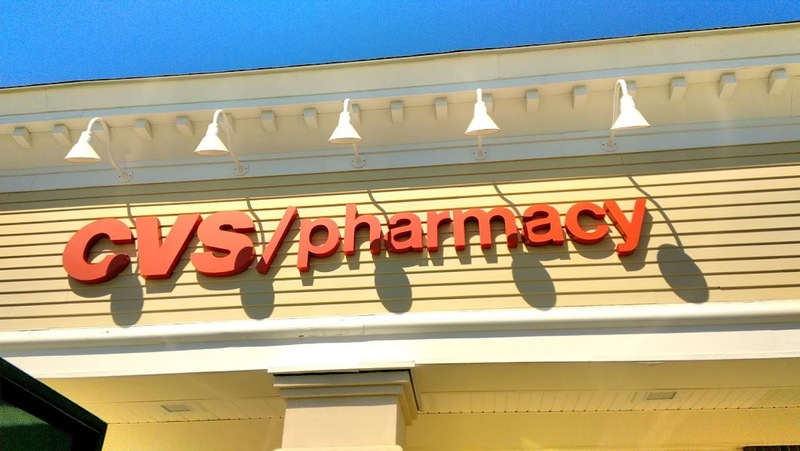 While CVS said its support for AFP was related to the organization’s tax reform agenda, it also promoted various policies that seemed to contradict the CVS ethics and social responsibility policies. In addition, the relationship between CVS and AFP only came to light after some AFP leaders were found to have made racist and pro-Nazi proclamations. Whether CVS made is making contributions to other such groups was unknown. At the time, we speculated whether the contributions to AFP reflected the self-interest of CVS leadership. Now we find out that CVS CEO Larry Merlo gave $15,400 to Republicans in the run-up to the 2018 election, but nothing to Democrats. This increases suspicion that CVS corporate political action is more about its CEO’s ideology than its professed mission. This anecdote, coupled with recent findings that big health care corporations’ policies about political activities are lax at best (look here), and the evidence above, should prompt concern about the political actions of other big health care corporations, and their intent. care professionals, and the public at large. one giant corporatist entity which is not in the interests of health care, much less government by the people, of the people, and for the people.